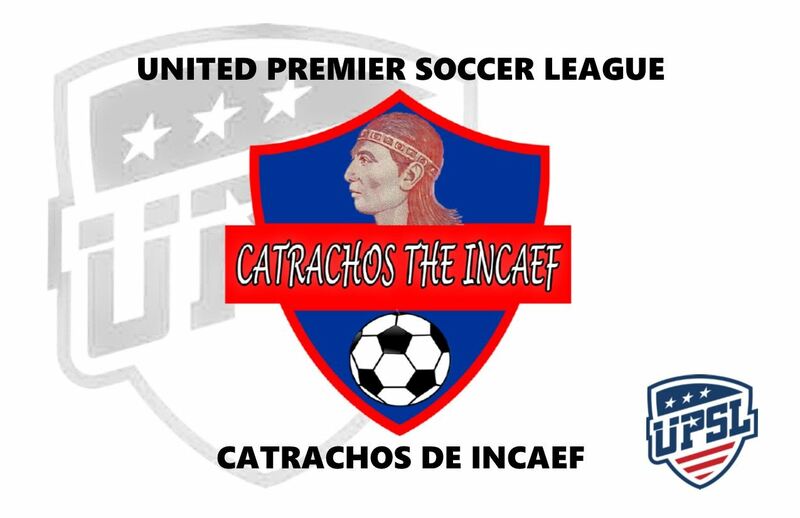 LOS ANGELES - April 25, 2018 - PRLog -- The United Premier Soccer League (UPSL) is excited to announce Catrachos De INCAEF as a new league member for the 2018 Season. Based in Silver Spring (Md. ), Catrachos De INCAEF will begin UPSL play in the Northeast Conference American Division, and will host its home games at both Blair High School (51 University Blvd East, Silver Spring, MD 20901) and High Point High School (3601 Powder Mill Road, Beltsville, MD 20705) in compliance with UPSL's Minimum Standards. United Premier Soccer League Commissioner Yan Skwara said, "Maryland has really taken an interest in the UPSL, and the feeling is mutual. We are pleased to welcome Catrachos De INCAEF into the Northeast Conference American Division. INCAEF Executive Director Mario Alvarado Villa has created a great foundation to reach the under-privileged youth in Maryland, and it's great to see that they're ready to take the next step. We wish Catrachos De INCAEF every success as they prepare to kick off with the 2018 Season." INCAEF Executive Director Mario Alvarado Villa said, "The foundation is non-profit and we started a soccer academy, but it's free, 100-percent free for the kids and people from low-income families to come and play, and that has keyed the operation we have now with the UPSL to give this opportunity to the young men who deserve it and have earned it." INCAEF was born out of the lack of opportunities for the most deserving and in need young people, and works in hand with survivors of domestic violence to help them have a better vision of the future. Evar Alfaro serves as the team's Director of Operations. Former Honduran international and Samuel Caballero will be the team's Head Coach. The club is hosting tryouts this weekend, April 8-9, at High Point HS. Contact the club for details. Catrachos De INCAEF is an American Soccer club currently based in Silver Spring, Md., and a new member of the United Premier Soccer League. Catrachos De INCAED play in the UPSL Pro Premier. Founded in 2013, Catrachos De INCAEF can participate in the qualifying rounds for the Lamar Hunt U.S. Open Cup through their affiliation and membership with the UPSL, the U.S. Soccer Federation (USSF) and the United States Adult Soccer Association (USASA). The UPSL was formed in 2011 and currently includes more than 170 teams in Arizona, California, Colorado, Florida, Georgia, Idaho, Illinois, Indiana, Iowa, Kansas, Maryland, Massachusetts, Michigan, Minnesota, Missouri, Nebraska, Nevada, New Hampshire, New Jersey, New Mexico, New York, North Carolina, Ohio, Oklahoma, Oregon, Pennsylvania, Rhode Island, South Carolina, Texas, Utah, Virginia and Wisconsin. UPSL is the fastest growing Pro Development League in the USA, with 200-plus teams targeted for 2018 Spring Season. Each UPSL team is individually owned and operated, and is responsible for maintaining either UPSL Pro Premier Division or Championship Division minimum standards.